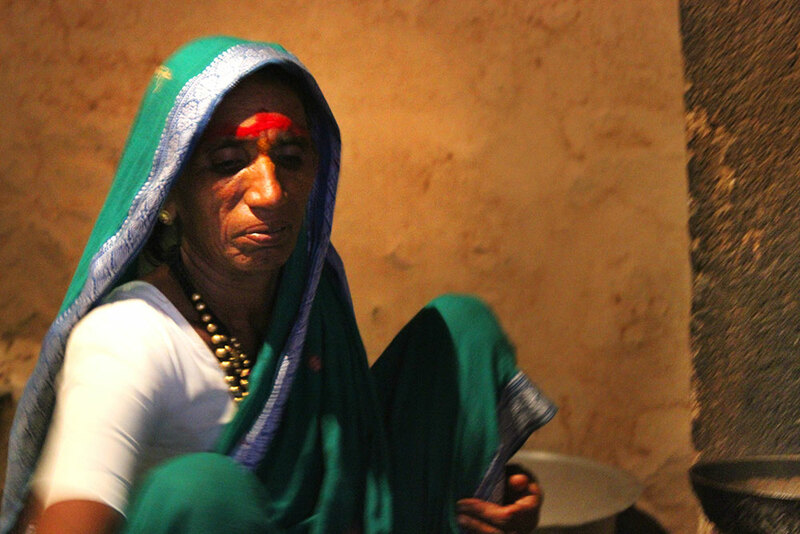 The beauty of Dhangar women is the ‘Nauwari Lugda’, the nine yard sari what they wear. 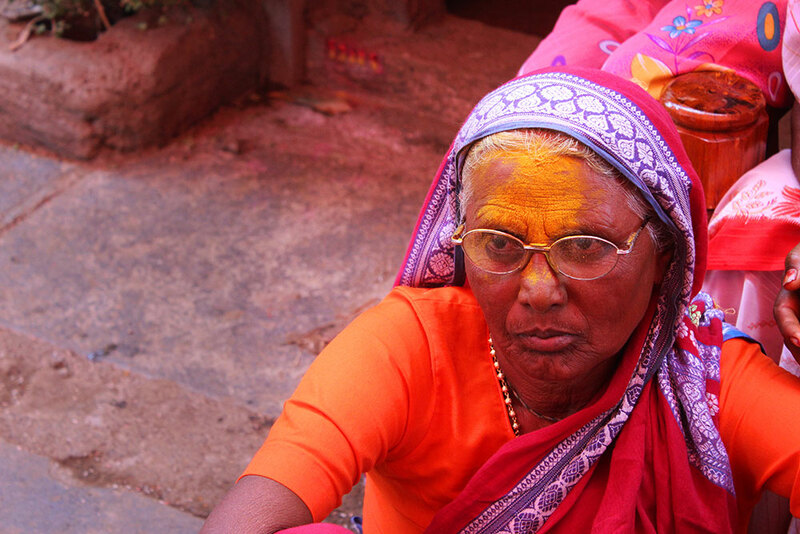 Elderly women spotted in Nauwari lugda and their forehead is adorned with ‘Malwat’ the stripe of Kumkum and ‘Bhandara’ turmeric. A visual depicts the evolution of Dhangar community. 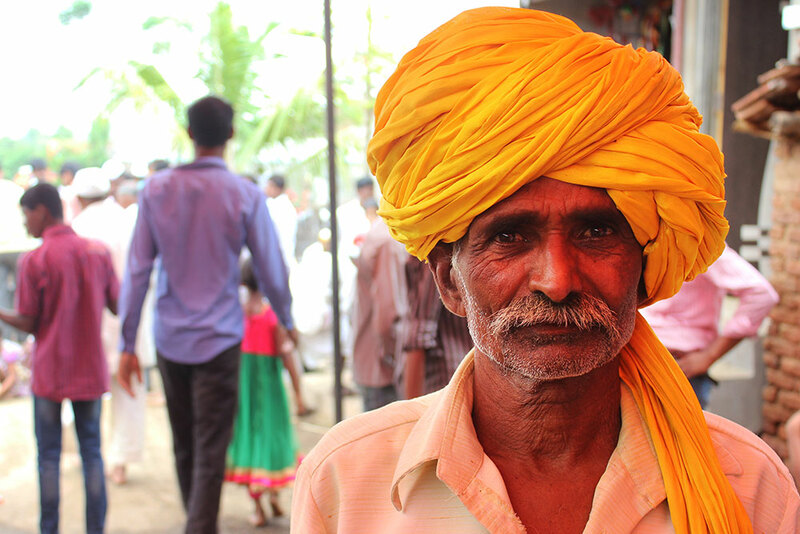 An elderly man spotted with wearing a huge turban, 'Mundasa' with a thick mustache and the background shows the western influenced new generation wearing trousers and shirt. 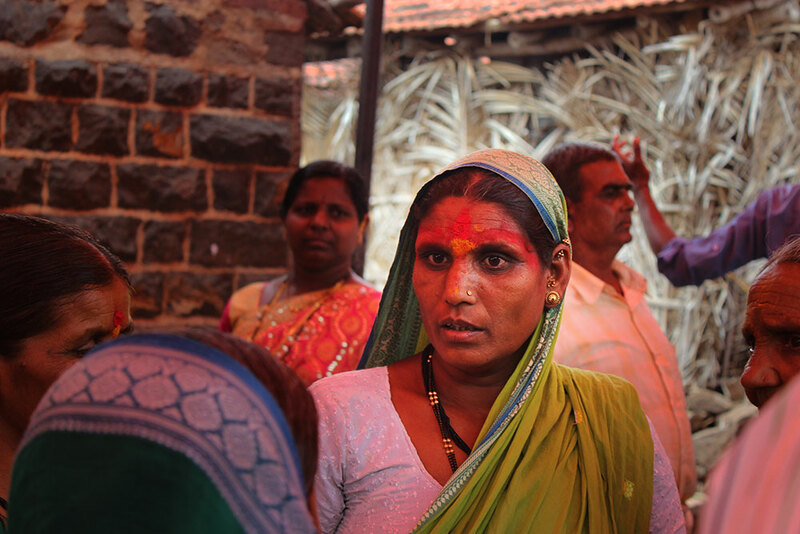 Shyness and rawness of a Dhangar women. The challenges and difficulties never put her down; an elderly woman spotted in nine yard sari and gracefully smeared in Bhandara, turmeric. 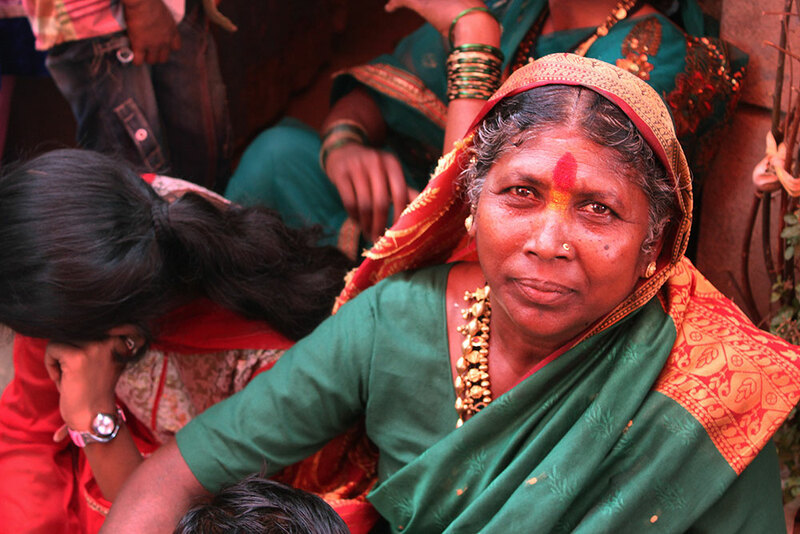 She is not wearing vermilion and a green sari which illustrates her widow life. Simple yet royal, elegant and vibrant; an elderly women in green sari and adorned with ‘Kolhapuri saaj’ and ‘Bormal’. 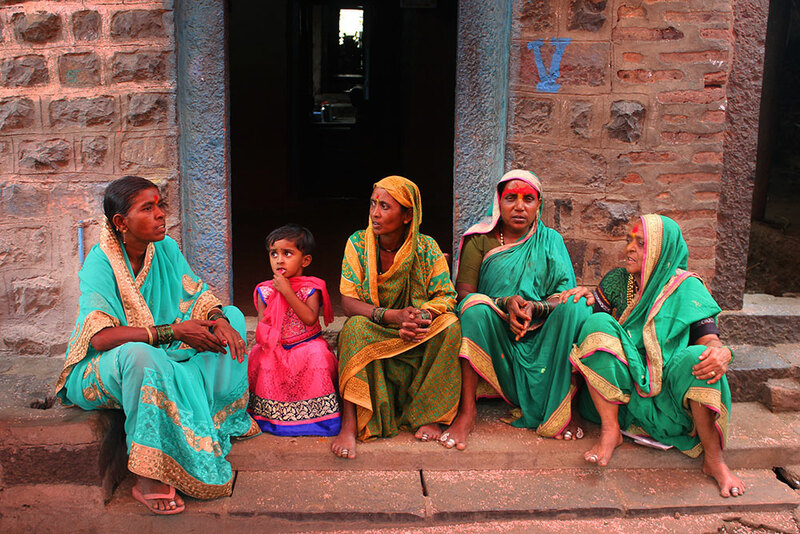 A visual depicts the simplicity of Dhangar community; women engaged in their casual discussions and spending their leisure time together. 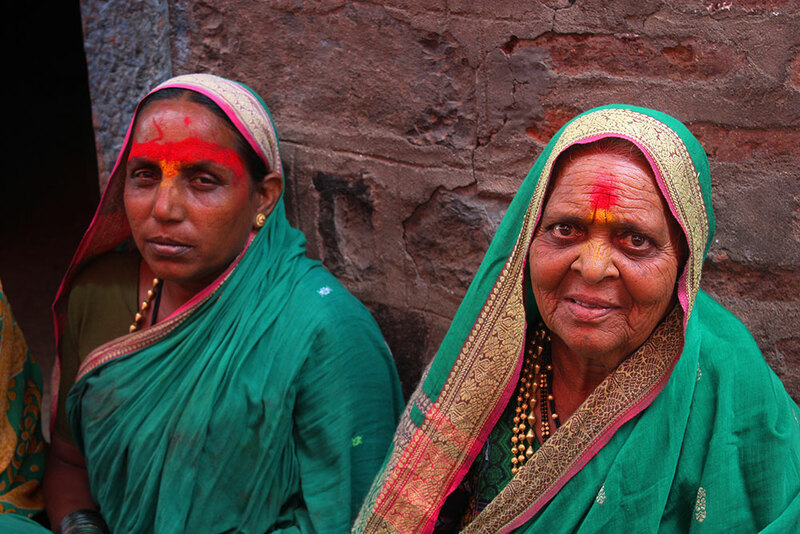 Elderly women spotted wearing ‘Nauwari Lugda’, foreheads are adorned with ‘Malwat’ and ‘Bandhara’. Top to bottom Dhangars adore themselves that makes the unique and adorable. Toes are beautified with Rings called 'Jodvya' are worn in the toe besides the thumb. On the fourth toe, there are silver toe rings called 'Maasolya' in the shape of fishes. Simple and royal look of Dhangar men; elderly men spotted in their traditional attire. Sharpness and rawness of life; a Dhangar women spotted in a beautiful parrot green sari and a necklace of black beads, 'Dorla' which symbolizes marriage and married life. 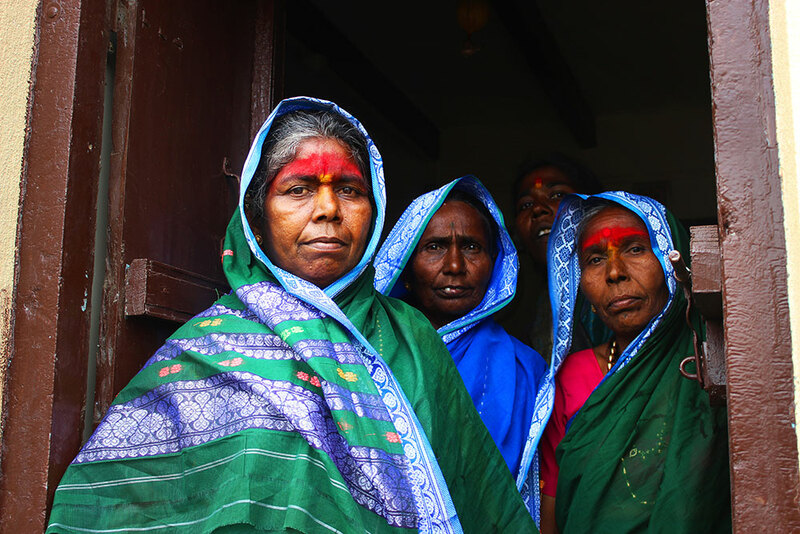 Group of traditional Dhangar woman spotted in their traditional attire. 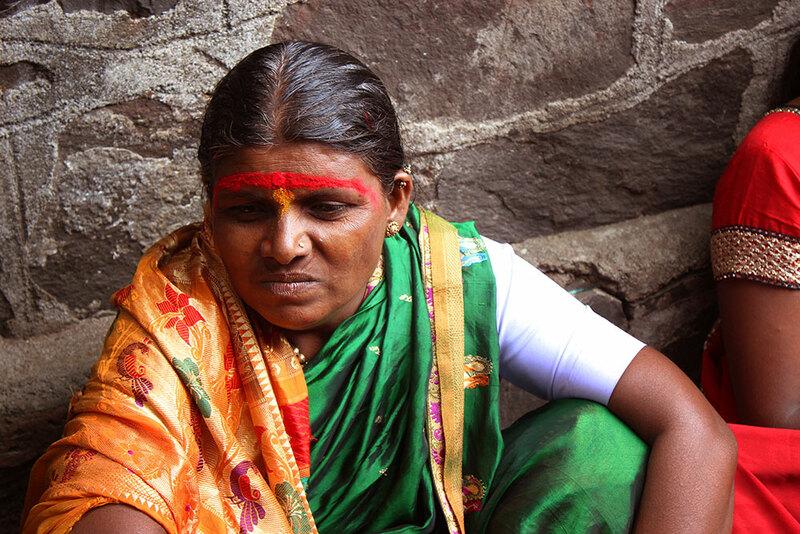 The elegance of a Dhangar woman spotted in their traditional get up. Recently I got an immense opportunity to attend a wedding of Dhangar community which was happened in Kolhapur. They had amused me with their lifestyle, customs and rituals. Costumes play a significant role in their lifestyle which is making them standing out of the crowd. The Dhangar ladies are speckled in hand woven nine yard sari known as ‘Nauwari Lugda’ which is paired with different traditional ornaments like ‘Kolhapuri saaj’, a very hefty piece of ornament in which all the ten incarnations of Vishnu are embossed in gold medallion and strung in a gold necklace and gold bead necklace called ‘Bormal’. A necklace of black beads, 'Dorla', is worn by married women which is a very prominent symbol of marriage and married life. Green glass bangles called the 'Hirvachuda', 'Bindlya' adores their hands and make them more feminine. Rings called 'Jodvya' are worn in the toe besides the thumb. On the fourth toe, there are silver toe rings called 'Maasolya' in the shape of fishes. Both of these are also symbols of marriage. These ornaments reflect prosperous and rich tradition of the Dhangar community. 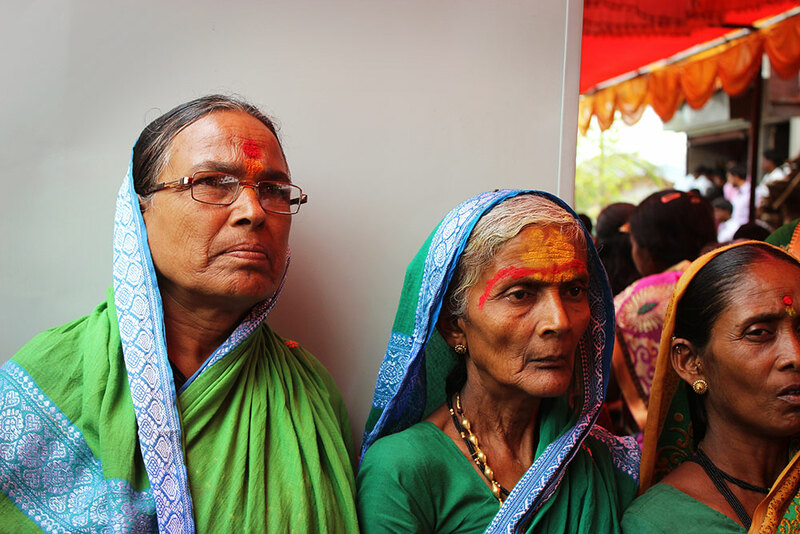 During the auspicious occasions they are spotted with their forehead smeared in turmeric and vermilion (kukum); the stripe of kumkum is called as ‘Malwat’ which signifies the purity, prosperity and divinity or called Saubhagya. The philosophy behind wearing turmeric and vermilion are more scientific than a belief system. Turmeric is known for its indefinable medicinal value like it has antiseptic, antibacterial qualities and vermilion has a traditional recipe which contains many herbs which strengthen the pituitary gland. 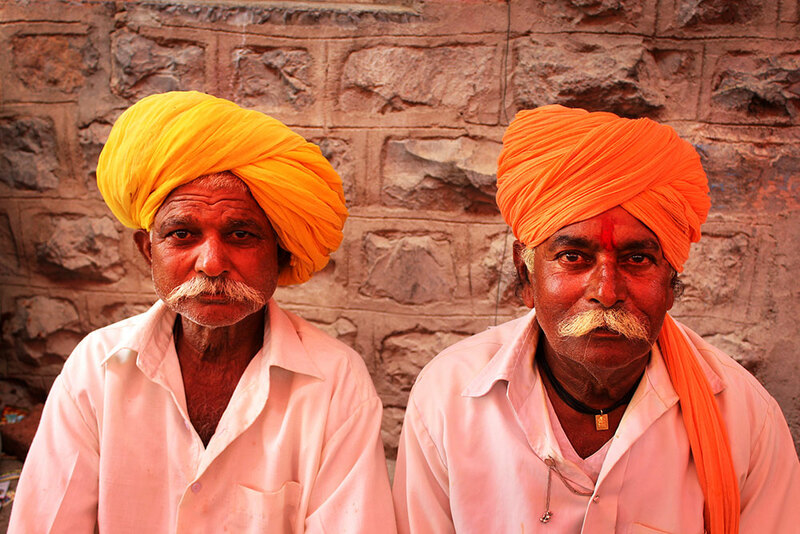 The older male members can be freckled in ‘dhoti’, a loose cotton vest, 'Sadrah', a huge turban, 'Mundasa', and the Bhandara spread across the forehead. A thick mustache plays a significant role in the identity of a Dhangar man. The thick mustache signifies the capability and strength of men known as ‘Mardangi’. As footwear they wear Kolhapuri leather chappals, such is the quaint attire of a typical Dhangar.